Here at The Center, we are always eager to study new methods of treating objects and learn about advancements in the field. 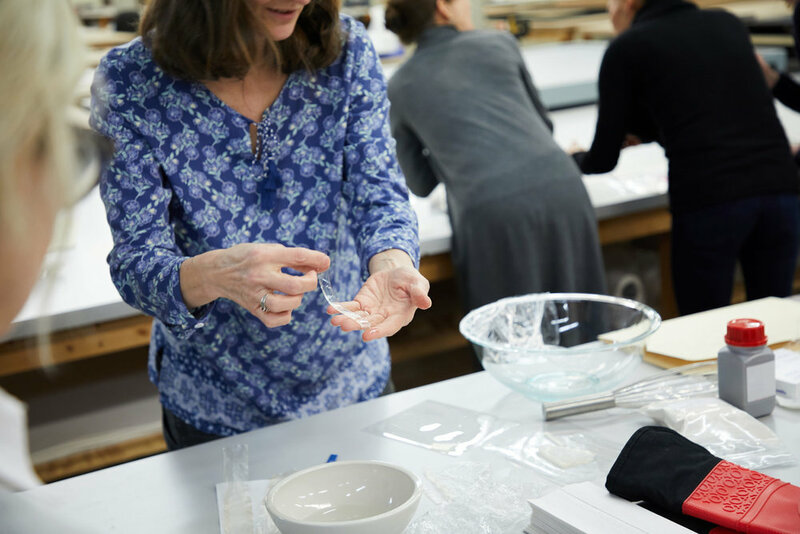 We were honored to host the Chicago Area Conservation Group’s Gellan Gum Mini-Workshop on March 13th. The Chicago Area Conservation Group (CACG) is a local group whose purpose is to promote learning and exchange ideas among those interested in or responsible for the preservation of artwork and archives of all kinds. The event began with an introductory presentation by Susan Russick, a Special Collections Conservator at Northwestern University Library with 20 years of conservation experience. Russick also offered a tutorial on how to create gellan gum and how it is being used in conservation today. 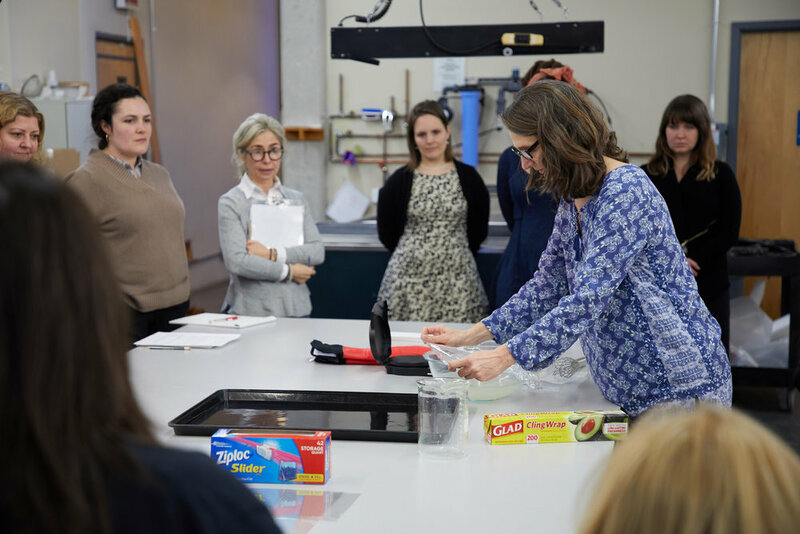 Russick had recently hosted a conservation lab at Northwestern dedicated to the discoveries of gellan gum, and was happy to share her research with the CACG and The Center. Gellan gum is a fairly new phenomenon in the field of conservation. It is a firm polysaccharide gel procured from the bacteria on water lily leaves, and has historically been utilized for its medicinal properties. It was discovered as a successful conservation treatment in 2007, especially with works on paper, and is gaining popularity within the field. Some examples of treatment with gellan gum were mentioned at the workshop. They included its ability to remove adhesive from an envelope without damaging the paper or maker’s mark. Another advantage of gellan gum is its ability to remove water-soluble highlighter pen marks from paper. The gum can also reduce staining, flatten creases, remove tape and other stubborn residues, and gently add humidity to troubled areas of the work. The fact that gellan gum poses few risks has helped it gain popularity within the field. It can also be conveniently made in large batches and dehydrated for long-term storage. Batches are then brought out of storage and re-hydrated before use. Compared to other techniques, which include careful monitoring or tedious swabbing, gellan gum is relatively self-sufficient and safe.